The LG 34WK95U-W is a good 5k IPS LED monitor with good picture quality. It can get very bright in SDR and it can also display HDR content decently, but unfortunately, when viewed in dark room, blacks will look grayish due to the mediocre contrast ratio and the bad local dimming. It has a large size screen and excellent resolution. It has a low input lag that makes it very responsive to your actions but it is not flicker-free and does not support any variable refresh rate implementation to please serious gamers. 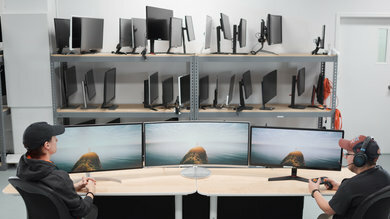 The design of the LG 34WK95U is good and is very similar to the LG 27UK650 and other LG monitors. 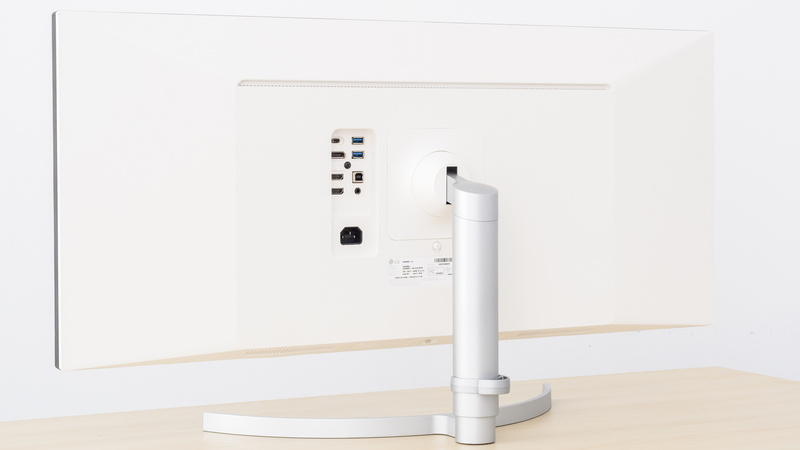 It has a sturdy stand that supports it well and a clean back. Unfortunately, the ergonomics are poor and positioning it to your liking will take some time. The build quality is good without any gaps or loose ends and you should have no issues with this monitor. 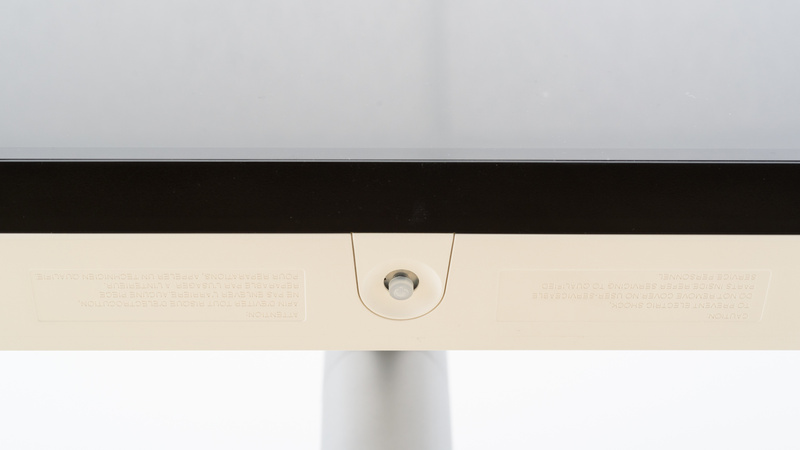 The stand of the 34WK95U supports the monitor well. The base is metal while the rest is plastic. 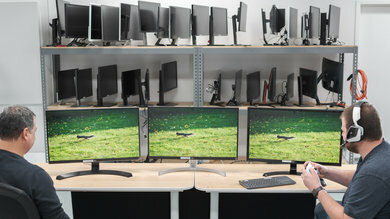 It is very similar to the LG 27UK650. 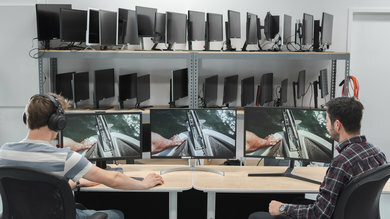 Poor ergonomics for this LG monitor. 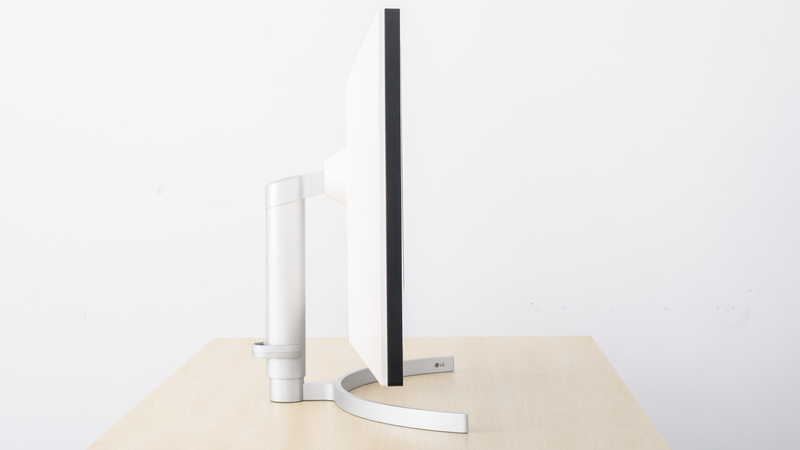 The tilt range is good but the height adjustment is just decent and there is no option to swivel or rotate. If you make frequent adjustments, you are better off VESA mounting it. 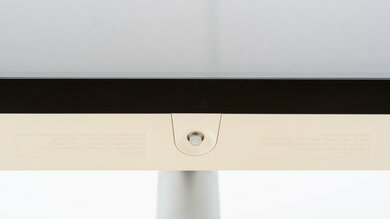 The back of the monitor is plain with a uniform glossy white finish. 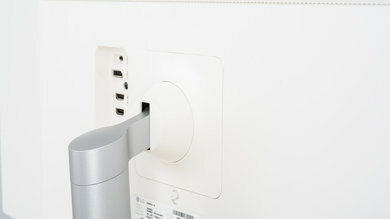 A small loop attached to the main pole helps with cable management. It is almost identical to the LG 27UK650. 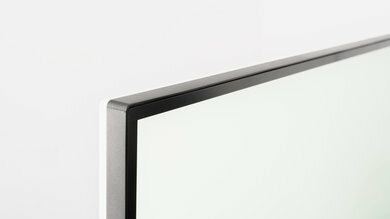 The borders are of average thickness but they look elegant due to the large size of the monitor. The monitor has an average thickness both when mounted on its stand, and when measured without it. The build quality of the LG 34WK95U is good. It has a more premium feel than most of its LG peers due to the metal feet. You should have no issues with the build quality of this monitor. The LG 34WK95U-W has a good picture quality. As expected from an IPS panel, the native contrast ratio is only mediocre and unfortunately, the poor local dimming cannot help improve blacks. On the bright side, the monitor has great SDR peak brightness and can display HDR content decently. 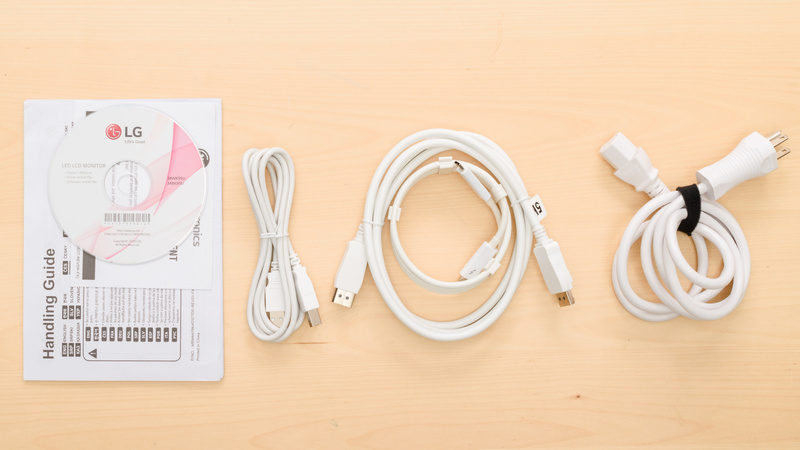 It has good viewing angles, excellent gray uniformity and the out of the box color accuracy is very good. 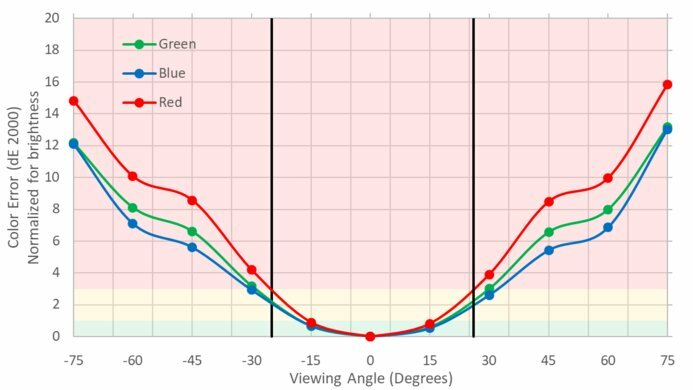 When it comes to HDR performance the monitor can display rich saturated colors but the brightness level is not enough to deliver the creators intent in HDR movies. 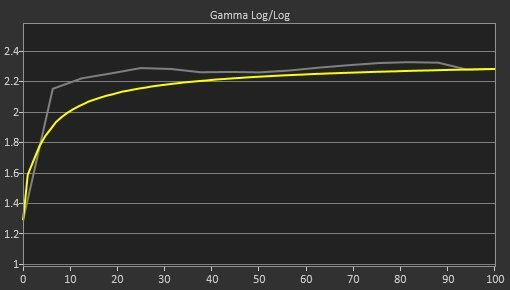 The LG 34WK95U-W has a mediocre contrast ratio and cannot display deep blacks just like the rest of IPS monitors we have tested. The monitor is edge-lit (from the top) and when the local dimming feature is enabled, it doesn't raise the contrast ratio on our test picture. 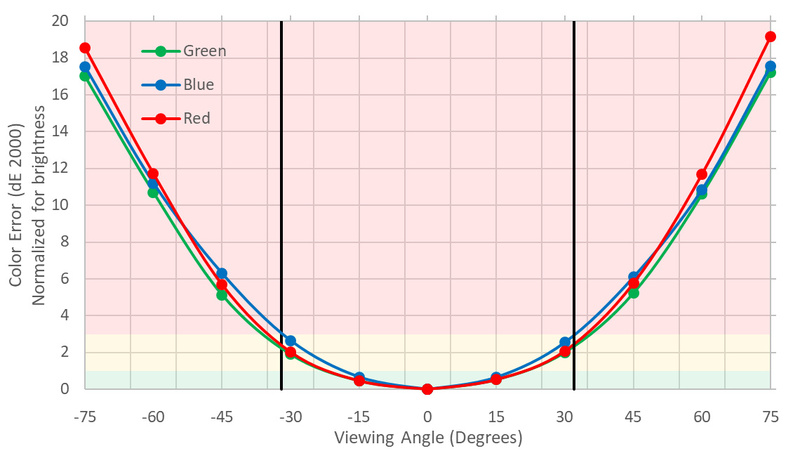 The monitor has a local dimming feature that works both in SDR and in HDR modes. 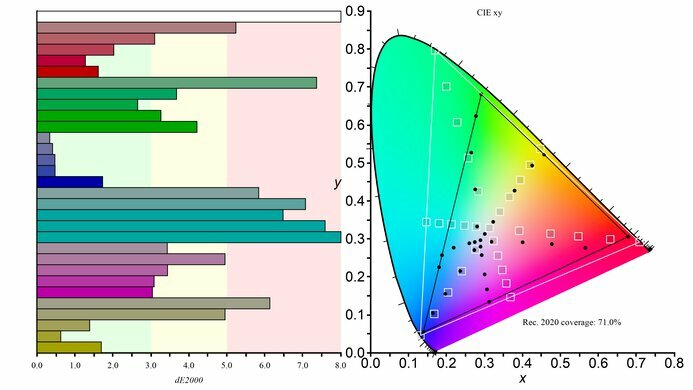 Unfortunately, it cannot always help blacks look deeper since the monitor is edge-lit and thus the local dimming zones are vertical bands. 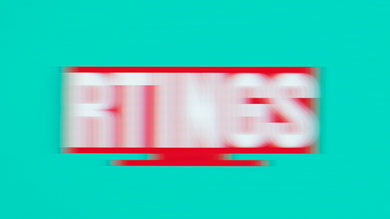 This causes blooming in the entire band when only a small portion of the screen needs to be bright, like in the case of subtitles. This is very similar to the Dell U3219Q. The LG 34WK85U has great SDR peak brightness. 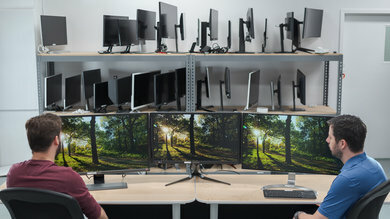 It has the best peak brightness from the LG monitors we've tested so far. It can fight bright room glare and it will do great in bright office. Update 01/21/2019:The SDR peak brightness was retested with the local dimming turned on. Decent HDR Peak brightness for the LG 34WK95U. 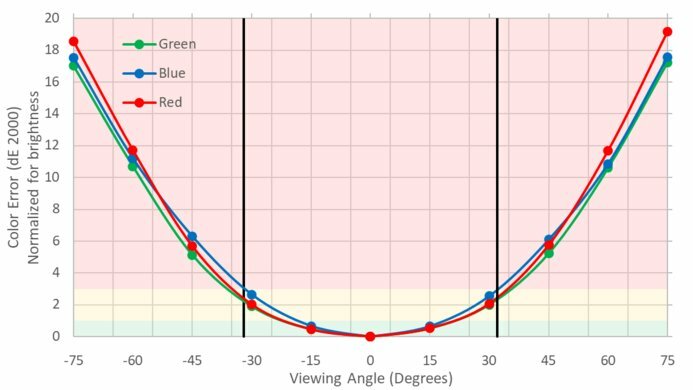 The brightness level is good for most HDR games but unfortunately, it is not enough to deliver the creators intent when it comes to HDR Movies. 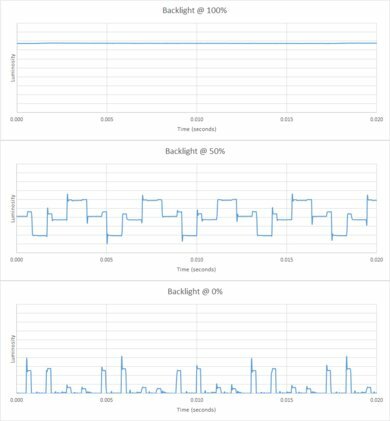 When the monitor switches from a scene with medium brightness to a bright scene that covers almost the entire screen, the initially observed brightness is above 600 cd²/m. This makes the screen look very bright for the first few seconds but after that, it returns to normal levels. This behavior is normal. Decent horizontal viewing angles. 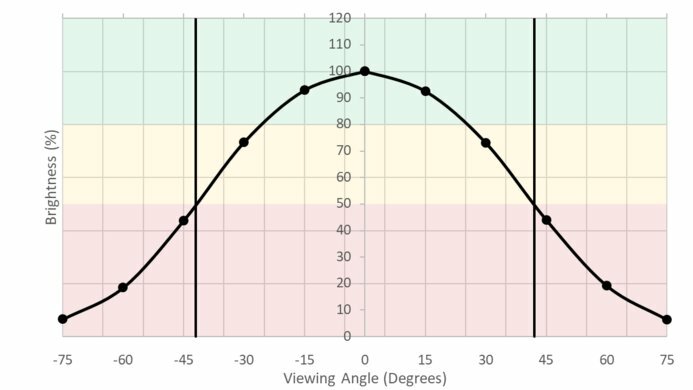 Just like the Dell U3219Q, black levels remain constant no matter the angle at which you look at the monitor. However, you will notice the loss of color accuracy and the diminish in brightness as the angle gets closer to 40°. Great vertical viewing angles on the LG 34WK95U-W. The image remains accurate up until 25° at which point colors start to shift. At about 35° the image has lost half of its brightness. This behavior is very similar to the Dell U3219Q. The gray uniformity of the LG 34WK95U-W is excellent. The sides do look a little darker but it is only slightly noticeable in normal use. There is almost no visible dirty screen effect, and you should not have any issues while you browse the web or when you decide to watch a hockey game on your monitor. In the darker shades the uniformity is even better as it becomes very hard to spot any uniformity issues or any dirty screen effect. 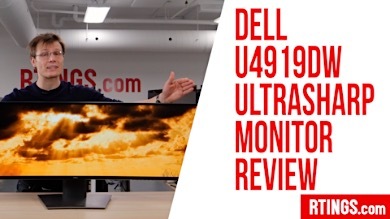 Very similar to the Dell U3219Q. 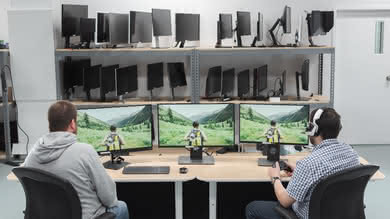 The monitor has a Uniformity option (only available in Custom and sRGB modes) that we recommend leaving it off as it reduces the overall brightness. Poor black uniformity on the 34WK95U as we can see a lot of clouding around the screen. 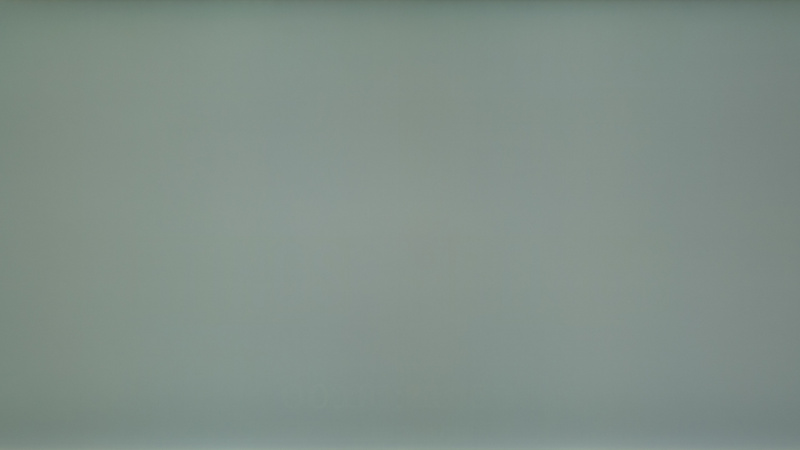 Backlight bleed is evident in the edges and in the lower left corner of the monitor. Unfortunately, when local dimming is enabled, there is still significant clouding in the vertical band where the test cross is due to the vertical local dimming zones. 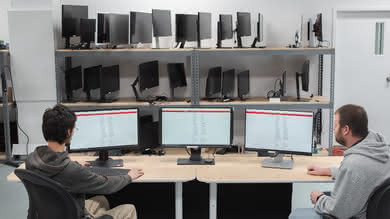 This monitors issues with black uniformity are not noticeable in normal use. They are deliberately exaggerated here for the purposes of our test. 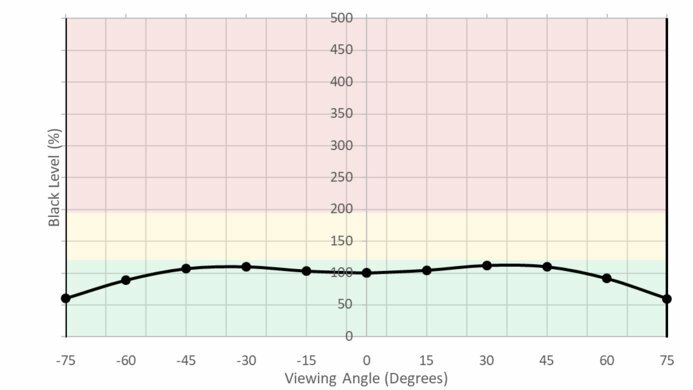 The out of the box accuracy of the LG 34WK95U is great. The 'sRGB' Picture mode is the most accurate one. Both the white balance and the color dE are under our threshold of 3, so few people will be able to spot the color inaccuracies. The color temperature is warmer than the 6500 K target, and the gamma is above the target curve for most of the input signal intensities resulting in slightly darker scenes. Excellent color accuracy of LG 34WK95U-W after calibration which was done on the 'Custom' Picture mode. 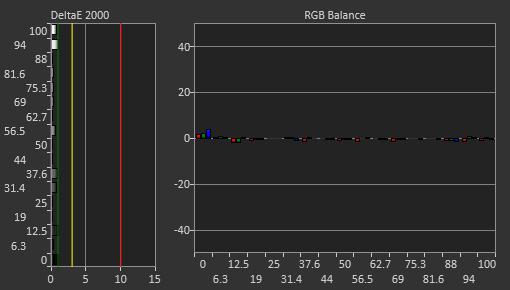 White balance and color dEs are nearly perfect and most people won't be able to see any errors. The color temperature is very close to the target of 6500 K and gamma tracks the curve very closely. 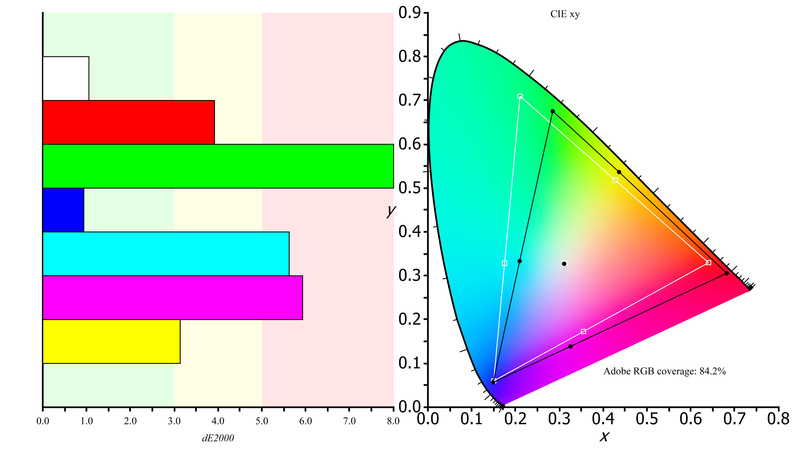 The LG 34WK95U has an excellent SDR color gamut. 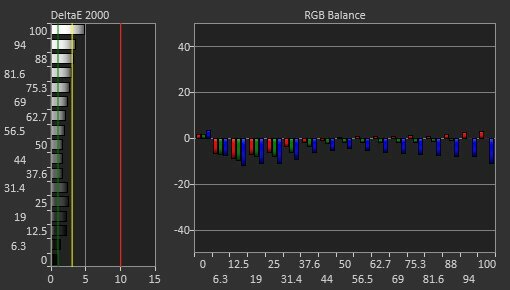 It practically covers the entire s.RGB gamut and this is great for daily usage. 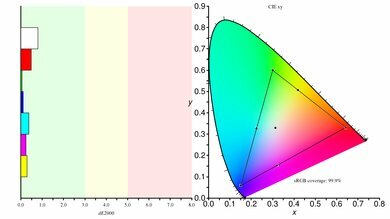 The coverage of the Adobe RGB color space is very good, however, it might still not be enough for those professionals who work in the wider Adobe RGB gamut. 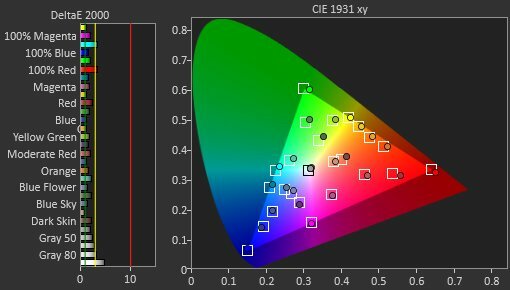 Excellent color volume on the LG 34WK95U-W. Just like the Dell U3219Q, this monitor can display a full range of colors in various levels of luminance. Unfortunately, it cannot display the dark shades well due to the not so great contrast ratio. Good HDR color gamut. 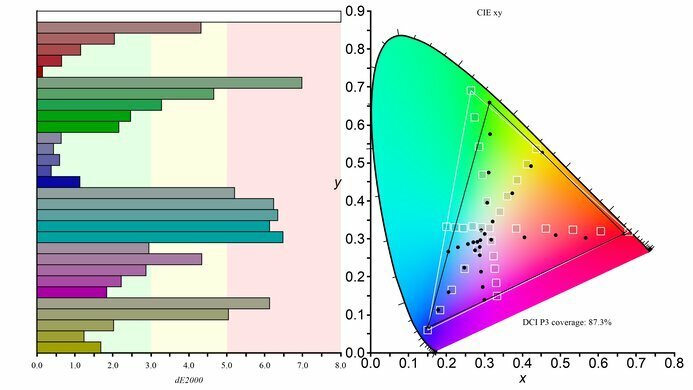 Excellent coverage of the more common DCI P3 color gamut, but the coverage of the wider Rec. 2020 color gamut is only decent. 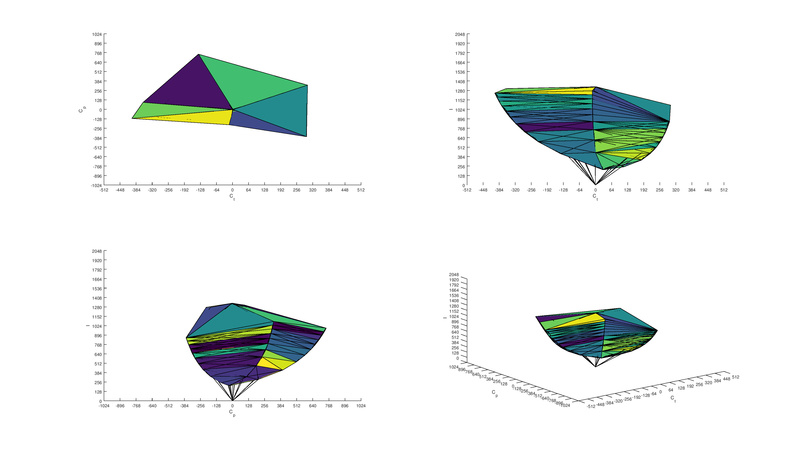 However, since it is above our 60% threshold, we consider it to have a wide color gamut. Decent HDR color volume, better than the LG 32UL950. Unfortunately, the lack of high contrast ratio limits the color volume, especially in the dark shades of colors. There is no image retention on the LG 34WK95U-W, even immediately after displaying our static test image for 10 minutes. Excellent gradient handling. 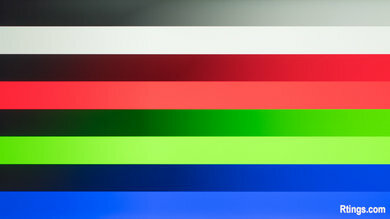 Gradients are displayed almost perfectly with very little or almost no banding. Perfect color display, with no color bleed neither in rows nor in columns. Good reflection handling. The light-matte finish diffuses reflections on the screen, reducing their intensity. It is fine for most rooms, but in a bright room, reflections may be distracting. Very similar to the Dell U2717D. The LG 34WK95U-W monitor has decent motion handling. 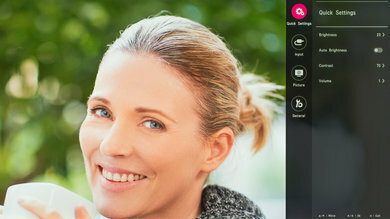 It has a fast pixel response time and fast-moving content is displayed with little blur. Unfortunately, this monitor is not flicker-free and it only supports a refresh rate up to 60Hz. There is no Black Frame Insertion option to help make the image crisper, nor any support for variable refresh rate. Excellent fast response time. The best Response Time setting is 'Fast', where we can see a little overshoot in some transitions but nothing too distracting. 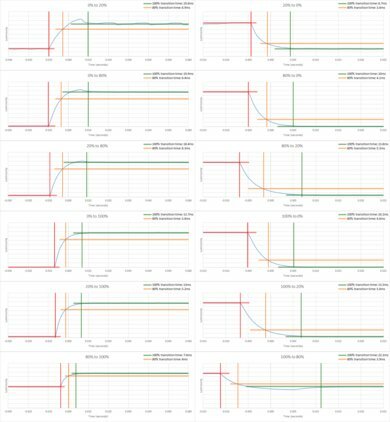 With the 'Normal' setting transitions are slower and with the 'Faster' setting, there is improvement in response time but also more overshoot. This monitor dims the backlight using PWM.  It is flicker-free only when the backlight is set at 100. Unfortunately, there is no option to introduce flicker to make the image crisper. 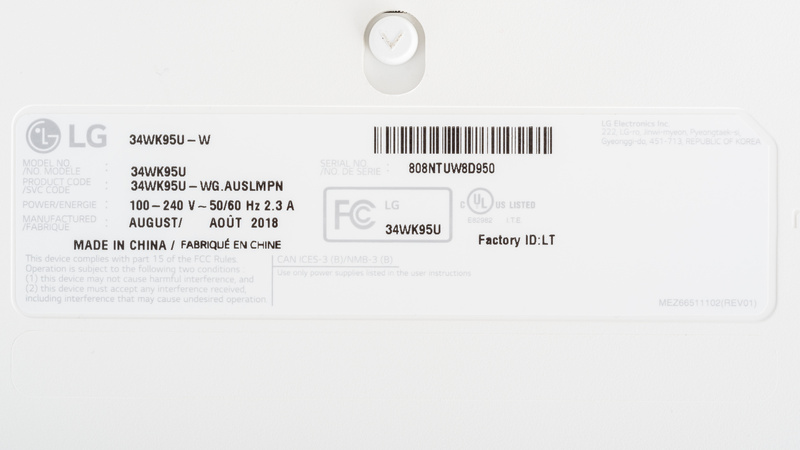 The LG 34WK95U-W has the very common native refresh rate of 60 Hz. 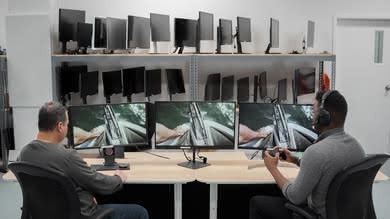 There is no variable refresh rate feature like FreeSync or G-Sync. This is not an issue for most users but some competitive gamers might find this a deal breaker. The LG 34WK95U-W has an excellent low input lag and large screen size. It has a 5k resolution that allows you to easily multitask or display two sources simultaneously. 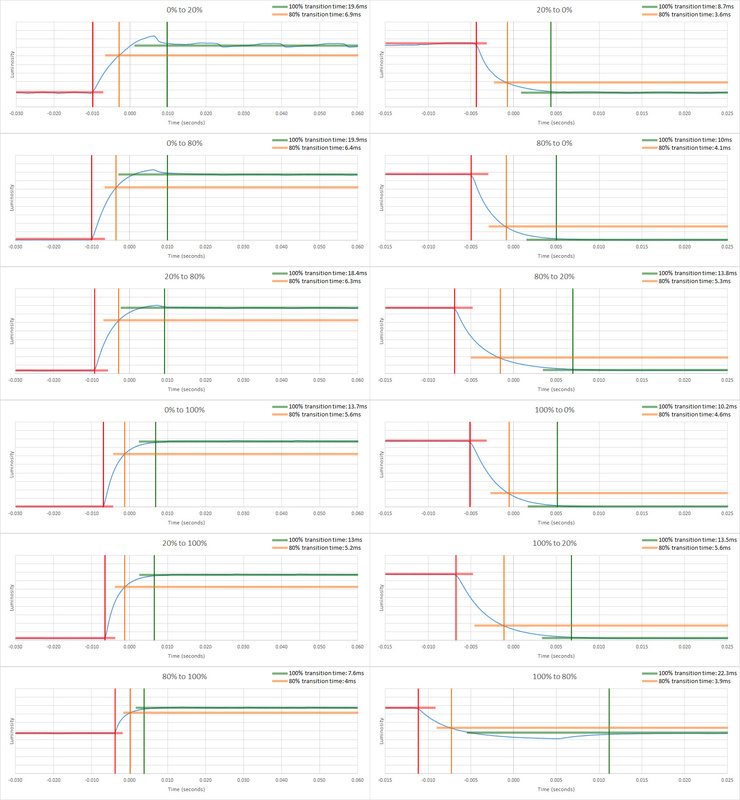 Non-native resolution tested: 3440 x 1440 @ 60Hz. 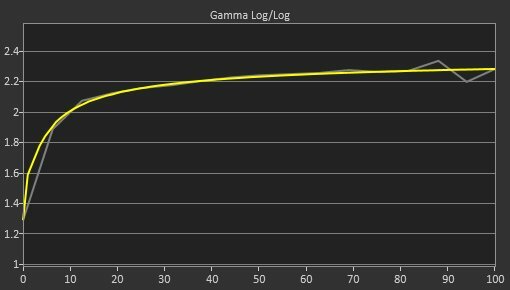 Excellent low input lag on the LG 34WK95U even when in HDR mode, or when a non-native resolution is sent to the monitor. 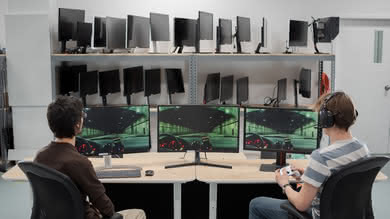 This should please most gamers as the monitor is very responsive. 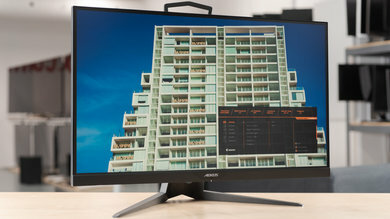 This is a large monitor with a 5K resolution which allows you to display many things on your screen at the same time and it is great for multitasking. 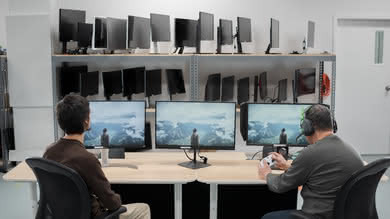 To take advantage of the high resolution you must use a DisplayPort connection. 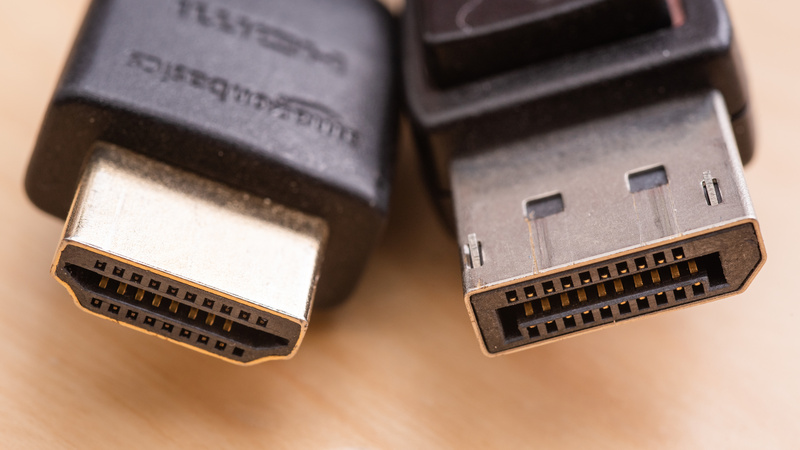 If you use an HDMI cable, due to bandwidth limits the resolution is limited to a maximum of 3840 x 2160 @ 60 Hz. 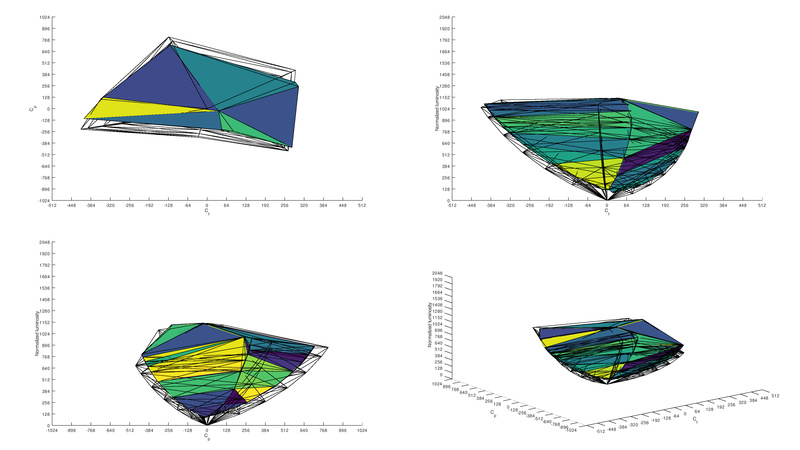 In this case, the recommended resolution is 3440 x1440 @ 60Hz to respect the 21:9 aspect ratio. 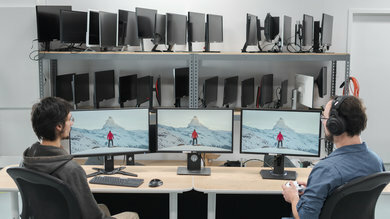 The monitor, however, gives you an option to use the full resolution using two HDMI cables from the same computer by using its Picture By Picture option that makes the screen work as two separate 2560 x 2160 displays. 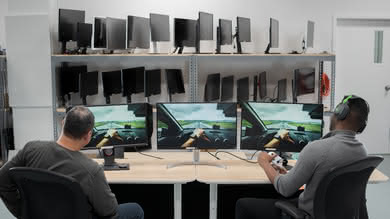 However, in order to have a seamless operation as a single, large display, you will need the use of third-party software like AMD's Eyefinity since the native windows driver cannot avoid some tearing when a moving object crosses from one side of the screen to the other. 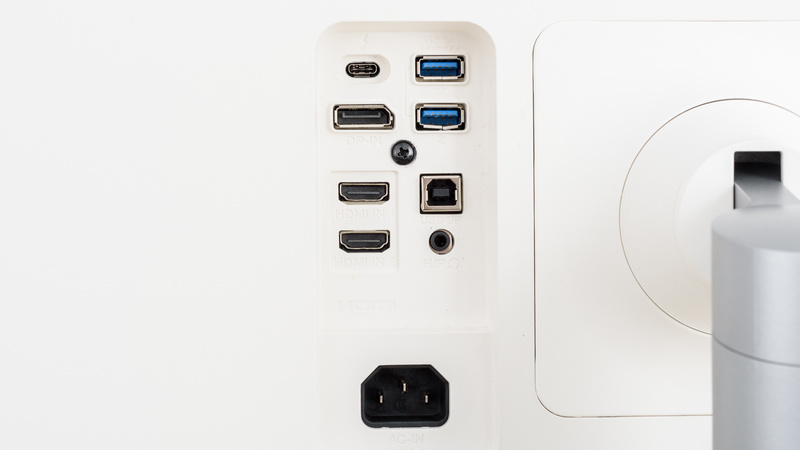 Through the menu you can choose which USB port (USB-C or USB-B) is going to be used for upstream. The LG 34WK95U-W has built-in speakers and support for HDR10 and is equipped with some neat additional features like Picture-By-Picture and the ability to function as a KVM switch. 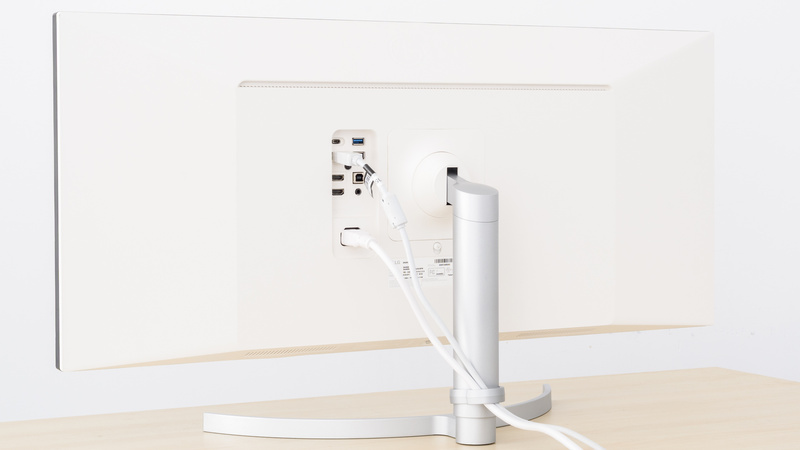 The USB-C port supports Power Delivery up to 85W which is great if you have a compatible laptop or tablet. 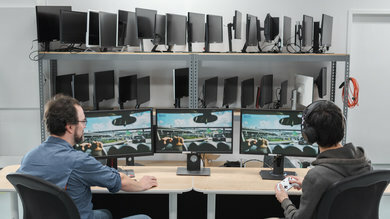 There are no gaming-specific features, and access to the OSD is done through the standard LG joystick control. 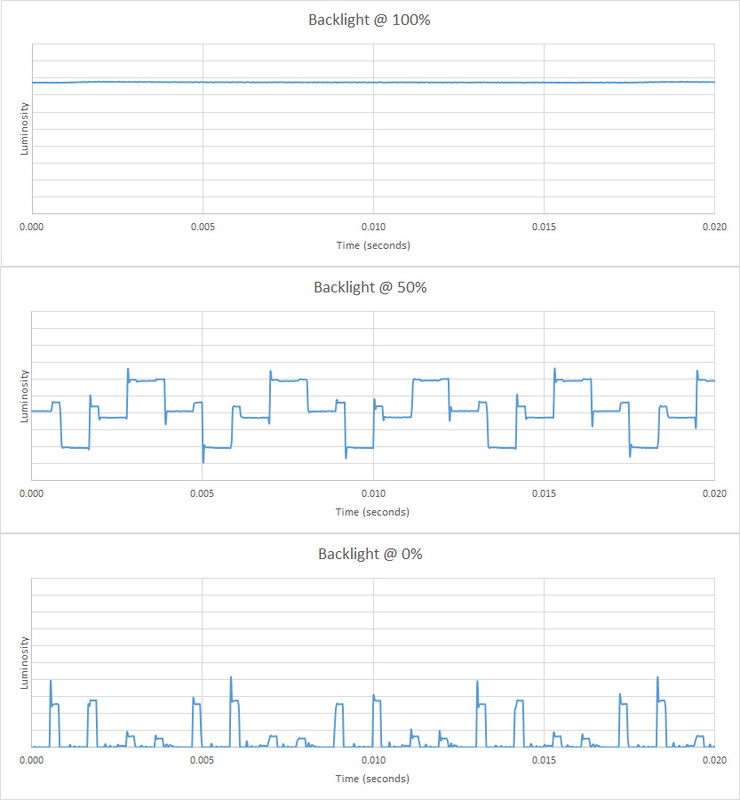 PBP (Picture By Picture): Used to display the output of two different inputs at the same time on the monitor. 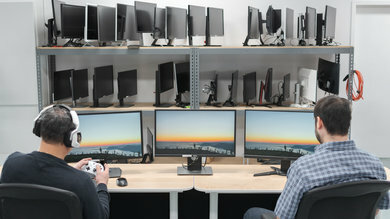 We also tested the monitor in this mode by connecting it to the same PC, and the PC recognized the monitor as two different displays. Uniformity: (only available in Custom and sRGB) Adjusts uniformity of the image, but enabling it reduces the overall brightness, so we do not recommend it. 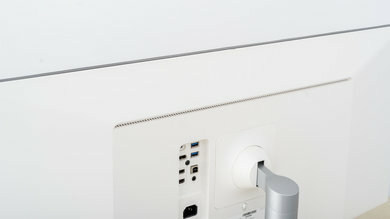 There are separate USB upstream ports that allow the monitor to function as a KVM switch by connecting your keyboard and mouse to the USB ports of the monitor. You can choose in the menu which USB (B or C) will serve as upstream however this requires accessing the OSD each time. 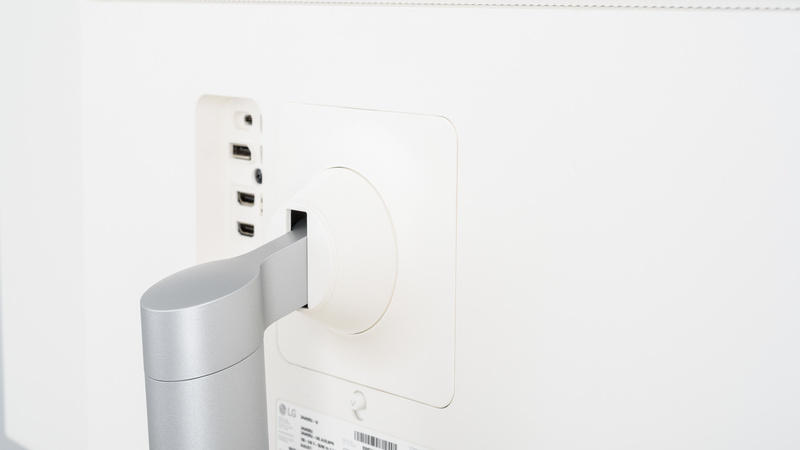 Finally, the USB-C port supports power delivery up to 85W. Update 1/28/2019: we added a clarification regarding the use of KVM. We tested the 34" LG 34WK95U, which is the only model available. Our 34WK95U was manufactured in August 2018. Update 01/17/2019: LG has also made the 34BK95U-W available. It appears to be the exact same monitor as the 34WK95U, but with a standard 3 year warranty, instead of 1 year on the 34WK95U. 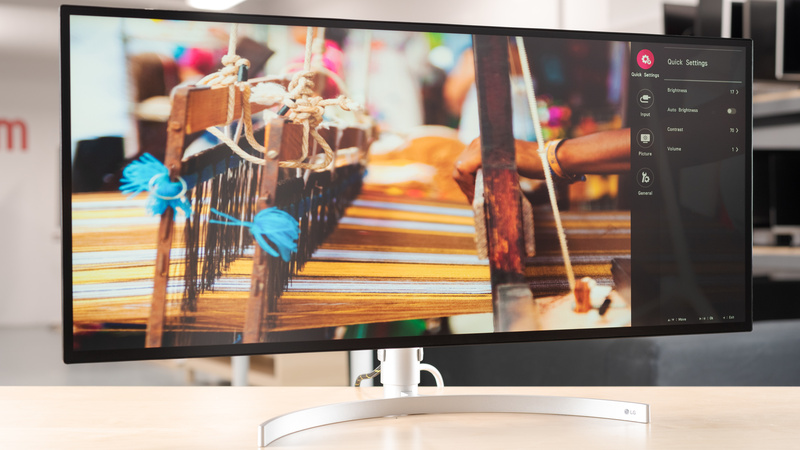 The LG 34WK95U is a very good ultrawide monitor with a great resolution that will keep you happy in most usages. See our recommendations for the best 34 inch monitors and larger, the best gaming monitors for PC, and the best 4k gaming monitors. The Dell U3818DW and the LG 34WK95U both have very similar performance. 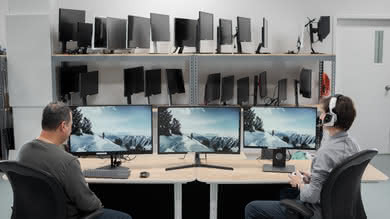 The Dell is flicker-free and has better ergonomics so you can easily place it to your liking. On the other hand, the LG supports HDR and has a slightly faster pixel response time that leaves a shorter blur trail in fast-moving content. 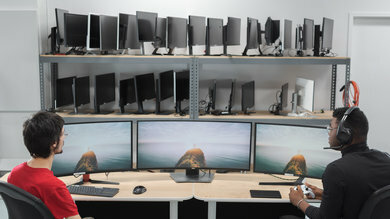 The two monitors are different types. For most people, the IPS panel LG 34WK95U is better than the VA panel Samsung CF791. The LG supports HDR, has better viewing angles, and has a lower input lag. On the other hand, the Samsung CF791 has better blacks and will perform better in a dark room. The LG 34WK95U is a bit better than the LG 34UC79G-B overall. The 34WK95U has a higher resolution and size and supports HDR. 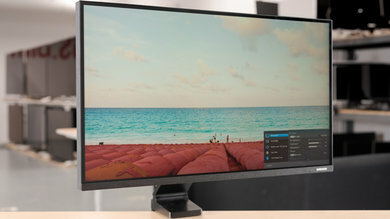 The LG 34UC79G-B, on the other hand, is flicker-free has a lower input lag, and a much faster refresh rate and supports FreeSync, which is great for gaming. 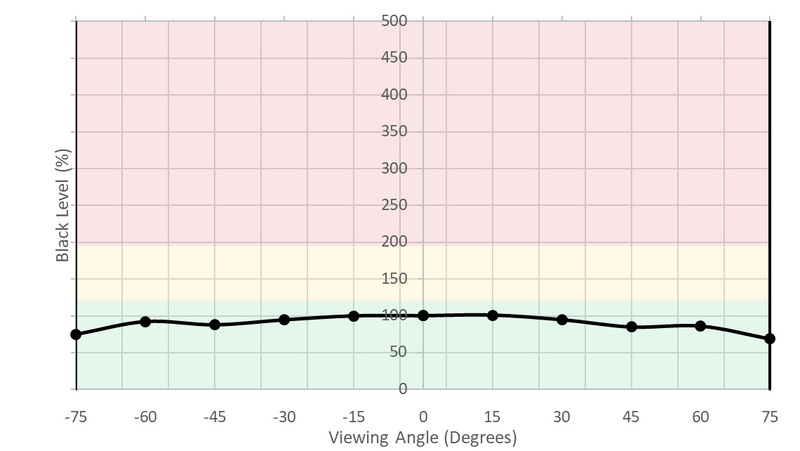 The LG 34WK95U is slightly better overall than the ASUS ROG PG348Q. 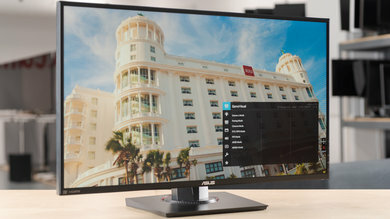 The LG 34WK95U has a higher resolution, supports HDR, and has slightly better gradient banding, whereas the ASUS is more of a gaming monitor that supports G-SYNC, is flicker-free, has less image blur, and supports FreeSync. The LG 34WK95U-W is a good monitor for most uses. 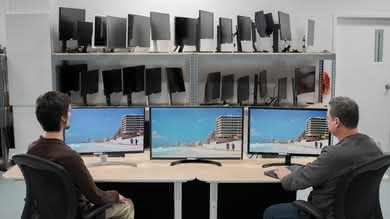 It is bright enough for a bright office and it has wide viewing angles that allow you to easily share your work. It has a low input lag to please gamers and a fast response time to display fast content with little blur. However, its defining feature is its size and large resolution that allows you to display more on the screen. This is a very good monitor for office use. It is a good choice for a bright office as it can fight glare. The large size and its very high resolution allow you to place more of your work on the screen. 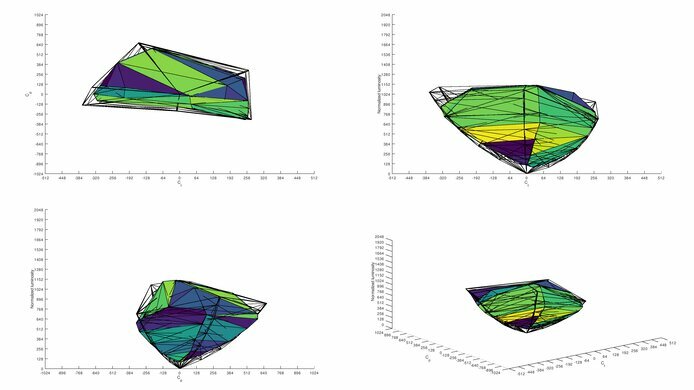 The good viewing angles help the image remain accurate and you can easily demonstrate your work to a colleague sitting next to you. On the downside, the ergonomics on the monitor are not good, so if you plan to adjust it frequently, you should consider VESA mounting it. The LG 34WK95U-W is a good monitor for gaming. It has a low input lag and is very responsive to your actions. However, its defining feature is its size and resolution. It has a 5k resolution and you can display more of the game arena on your screen and this is an advantage over your opponents. Unfortunately, it does not support any variable refresh rate and this can detract the more serious gamers from choosing it. This is a good monitor for consuming multimedia. The input lag is very low and the monitor reacts almost instantly to your inputs. The screen size and resolution allow you to display high-res multimedia content on its native resolution and you can enjoy more details. The viewing angles are good so you can share your image with others and all will enjoy the same picture quality. The 34WK95U-W is a good monitor for media creation. The screen size is large and the resolution is very high and allows you to display much of your content on the screen at the same time. The viewing angles are good and the low input lag makes it very responsive to your actions. 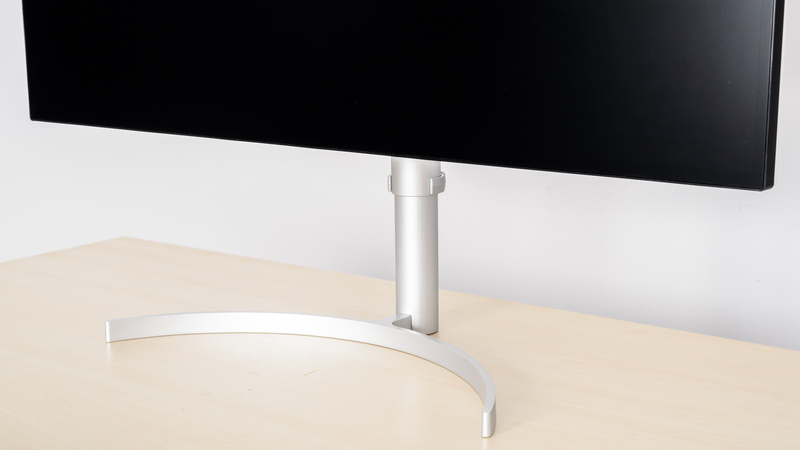 Unfortunately, the monitor does not have good ergonomics and you might be better off if you VESA mount it. This is a decent monitor for HDR Gaming. Unfortunately, the native contrast ratio is mediocre and the bad local dimming cannot help improve blacks in a dark room. The input lag is very low and the resolution and size are excellent. 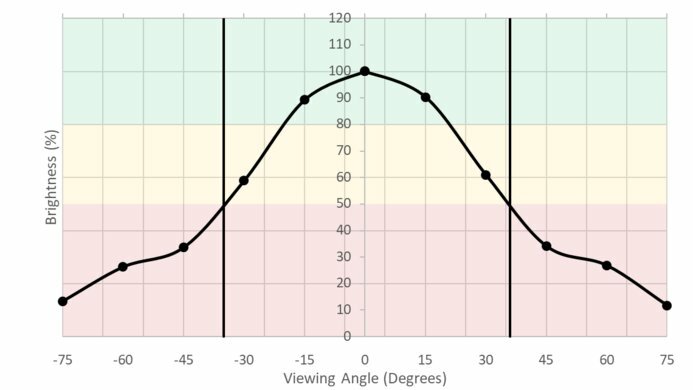 The HDR peak brightness is good enough for playing HDR Games but not high enough for watching HDR movies.